Technical Hoses are our business. Their development, production and sales. Masterduct was established in the United States in 2000 to manufacture and sell high quality technical and industrial hoses to the Americas. 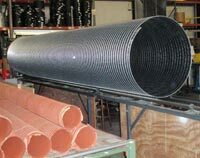 Providing customer solutions has enabled Masterduct to offer North American businesses an expanded range of innovative hose products for industrial applications – especially in high-heat, abrasive materials conveyance, dust collection, antistatic, vehicular exhaust source-capture, and chemical fumes environments. Satisfied customers return to Masterduct over and over as a solution provider, demonstrating their confidence in our products and services. We offer technical hoses and connecting systems to meet just about any need. Our company's long-wearing, flexible Master-PUR polyester-polyurethane conveyance hoses, and Master-CLIP mechanically-locked fabric hoses for high heat/corrosive fumes, benefit from an engineering department that employs the most advanced technology with an aim toward satisfying every technical requirement. 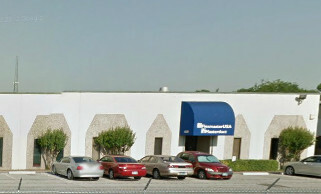 MASTERDUCT is a subsidiary of the Masterflex Group with headquarters in Gelsenkirchen Germany. The Masterflex Group specializes in the development and production of high-quality technical hoses and connector systems. Under the umbrella of the Masterflex Group, six specialists have been brought together as brand names representing diverse connection technologies: They include Masterflex, Matzen & Timm, Novoplast Schlauchtechnik, Fleima-Plastic, Masterduct and APT. With other production and marketing locations in Europe, America and Asia, the Masterflex Group is represented almost everywhere across the globe. Drawing on the in-depth knowledge and experience of a vast network of sales consultants, engineers and technicians from around the world, MASTERDUCT is able to transform even the toughest application requirements into long lasting solutions. We welcome your inquiries. Click here to contact us.